Reach more, do more! Skip the shaky ladder and stand safely on solid ground. Apply a little pressure where you want it to rinse clean those tough-to-reach areas such as second floor windows, siding, shutters and more (with the SPX-MARW1 attachment)! Compatible with all SPX Series Pressure Washers. DEWALT pressure washer Quick Connect Spray Tips replace worn or lost spray tips for Hot and Cold Water pressure washers rated up to 4500 psi. This kit contains 4 high-pressure spray nozzles and 1 low pressure spray nozzle, with an array of spray patterns, from pin-point, for those tough jobs, to wide fan for low pressure chemical cleaning. G-Clean products are part of Green Earth Technologies line of 100% environmentally friendly products. G-Cleans' detergent pouches dissolve in a gallon of water and can be dispensed at low pressure, or using G-Cleans' detergent injector, at high pressure with almost any pressure washer. This cleaning concrete concentrate will clean those stubborn concrete without any harmful run-off. G-Clean products are part of Green Earth Technologies line of 100% environmentally friendly products. G-Cleans' detergent pouches dissolve in a gallon of water and can be dispensed at low pressure, or using G-Cleans' detergent injector, at high pressure with almost any pressure washer. This mold and mildew concentrate will clean those stubborn mold and mildew stains without any harmful run-off. VersaGRIPs dual action triggers provide multiple ways to spray, enabling you to clean at any angle. The Shoulder Stock allows you to use your body as an anchor, providing a secure grip while relieving stress from your fingers, hands and wrist. Ergonomic Design features overloaded grips, providing comfortable and secure handling. Compatible with most gas pressure washers. Its fittings easily attach to standard spray wands and high pressure hoses. 9 ft. Reach Aluminum Extension Spray Wand For SPX Series Pressure Washers Reach more, do more! Skip the shaky ladder and stand safely on solid ground. Apply a little pressure where you want it to rinse clean those tough-to-reach areas such as second floor windows, siding, shutters and more (with the SPX-MARW1 attachment)! Compatible with all SPX Series Pressure Washers. 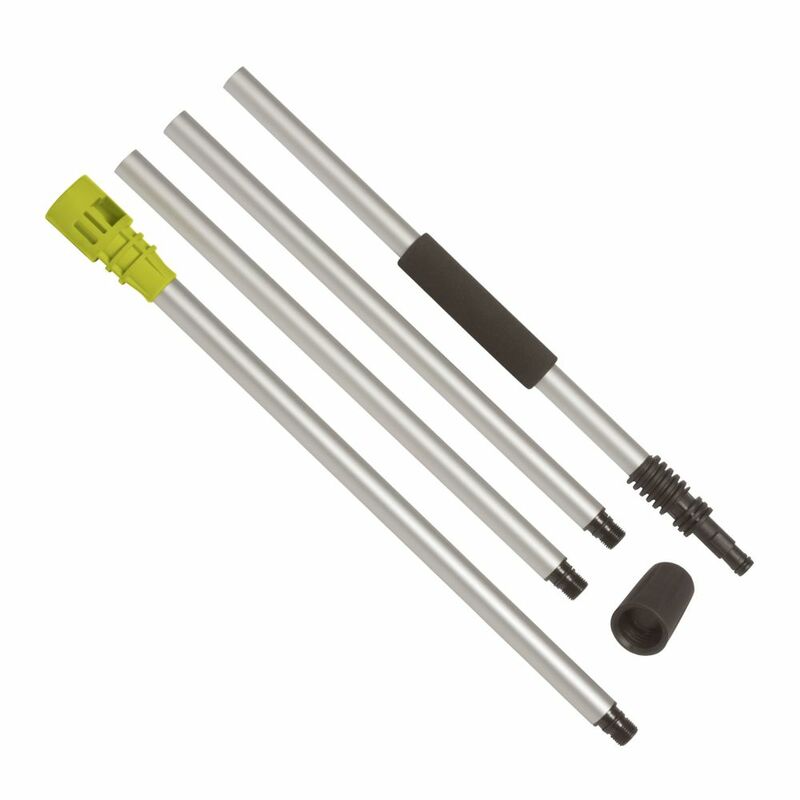 9 ft. Reach Aluminum Extension Spray Wand For SPX Series Pressure Washers is rated 4.3 out of 5 by 49. Rated 4 out of 5 by HomeDepotCustomer from No middle ground between the original too short wand (... No middle ground between the original too short wand ( kills my neck having to be in a head/shoulders down stance) and this too long extension. No middle ground- have to use entire extension or nothing! Does that 9 foot extension fit for most gas pressure washers?